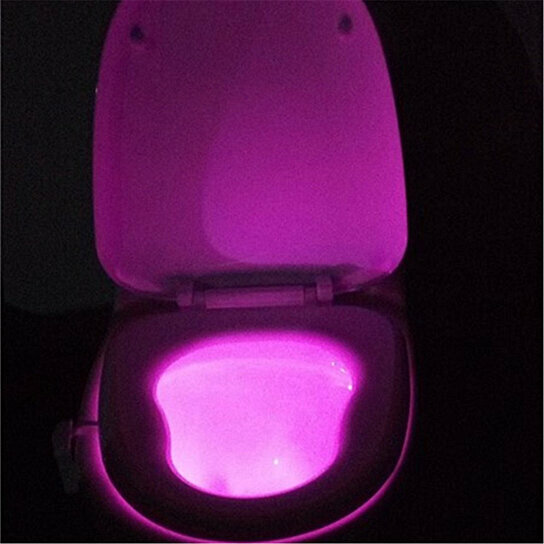 -8 colors of the toilet bowl light are available. When it turns on after sensing any motions, the colors will then rotate gradually in order(red, orange, sapphire, green, blue, purple, pink and white). Besides, there is a button on the surface of the gadget that lets you choose between rotating colors and choosing one color you prefer. When you press it when light is on, the color will stay unchanged.